Chronic symptomatic lateral ankle instability that has failed to repond to non-operative management including rehabilitation and bracing. Evans procedure: tenodesis of the peroneus brevis tendon to the fibula, by directly suturing the tendon to periosteum or securing the tendon to the posterior fibula through a bone tunnel. Restricts subtalar motion. Watson-Jones procedure: reroutes the peroneus brevis tendon from posterior to anterior through the fibula and then back through the neck of the talus and sutured back on itself. Restricts subtalar motion. 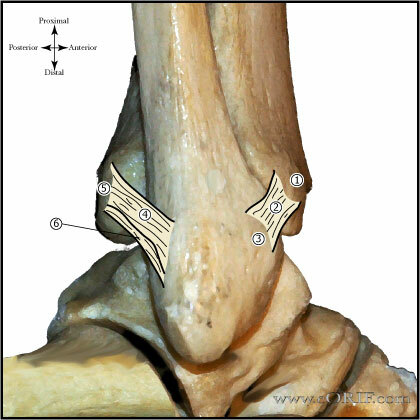 Chrisman and Snook procedure: split peroneus brevis tendon brought from anterior to posterior through the fibula and down to the calcaneus through bone tunnels. Limits ankle and subtalar motion. (Snook GA, JBJS 1985;67Am:1). Consider concurrent ankle arthroscopy. 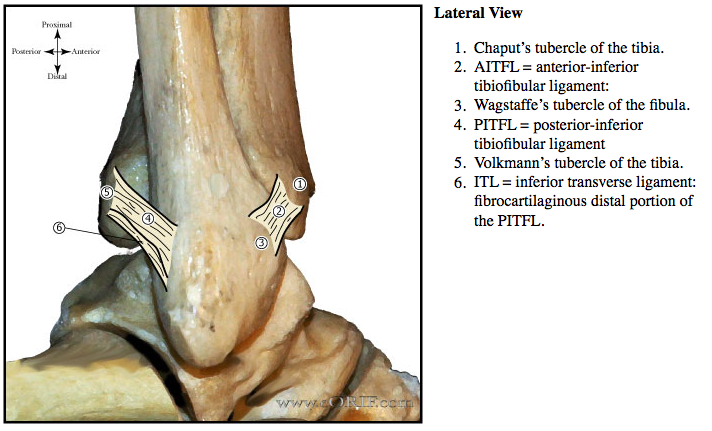 Up to 95% of patients undergoing surgery for lateral ankle instability may have associated intra-articular pathology. (Ferkel RD, Foot Ankle Int 2007;28:24). Strongly consider concurrent lateralizing calcaneal osteotom fro patietns with hindfoot varus deformity (Kuhn MA, Foot Ankle Int 2006;27:77). 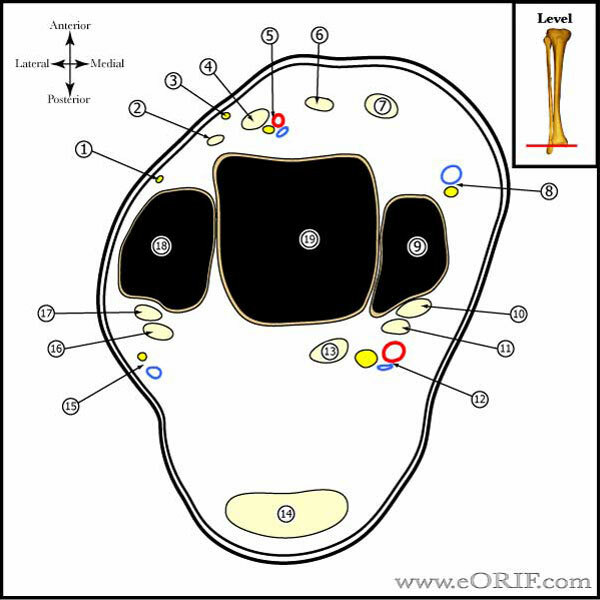 Perform ankle arthroscopy and treat any identified patholgy. 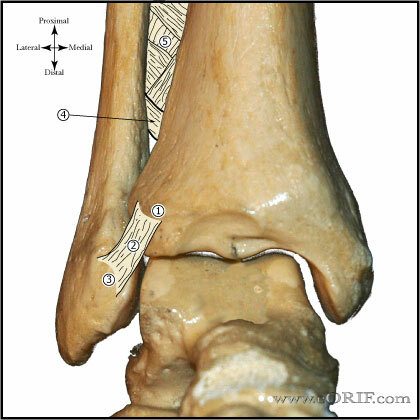 Lateral portion of extensor retinaculum identified and mobilized. 2 weeks post-op: Place in a removable ankle-foot orthosis and begin active exercise program to regain motion and strength. Passive inversion stretching is avoided. 6 weeks post-op: Lace-up style ankle brace for daily activities. Progressive resistive and proprioceptive exercises continued for the next 2-4 months. 3 months post-op: Cutting and pivoting sports resumed, brace is worn for sports for 6 months. Athletes continue to use a brace or taping for sports indefinitely. 100% good to excellent results for ankle arthroscopy with modified Brostrom-Gould procedure. 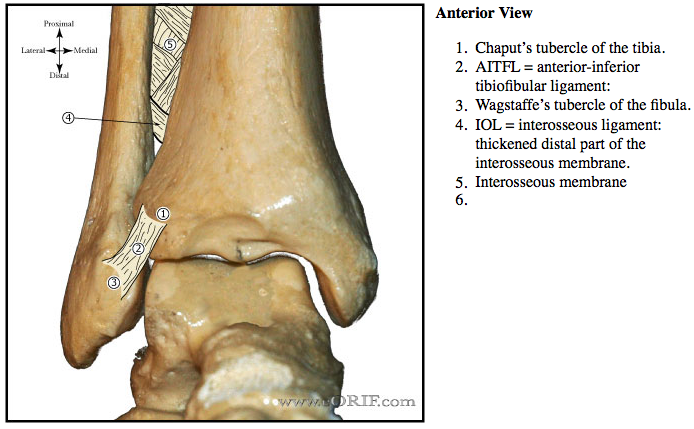 95% had associated intra-articular pathology. (Ferkel RD, Foot Ankle Int 2007;28:24). 83%-90% satisfactory functional results (Karlsson J, AJSM 1997;25:48).